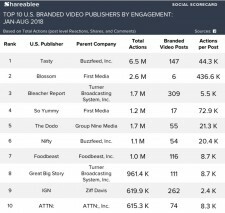 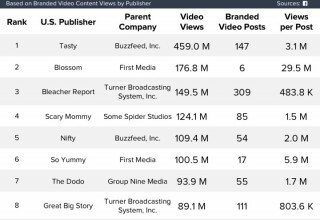 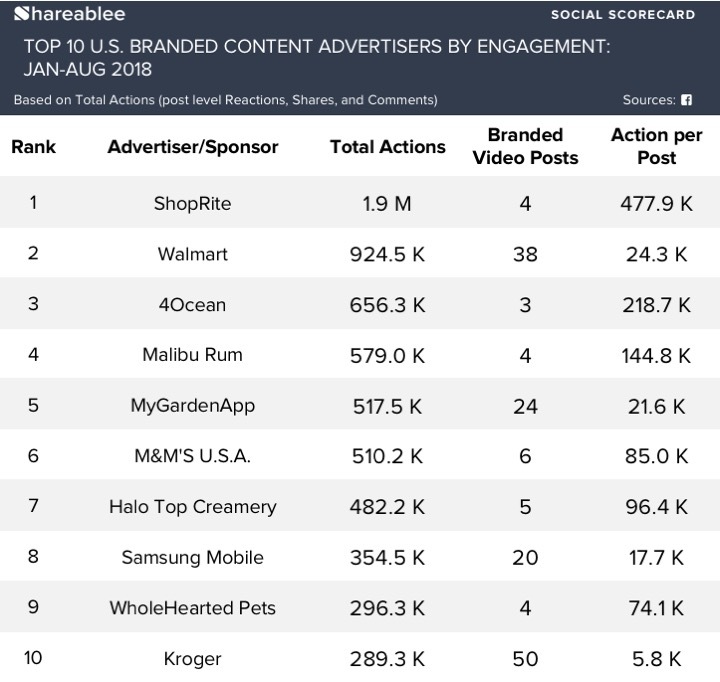 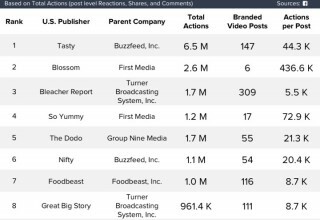 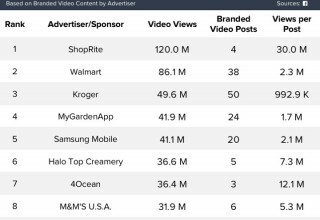 NEW YORK, October 2, 2018	(Newswire.com) - ​Shareablee Inc., the global leader in audience-based social media measurement, today released its rankings of 2018’s most socially engaged U.S. branded video publishers on Facebook to-date. 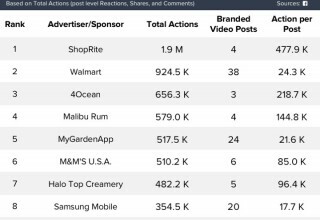 The findings reflect more than 2.7 billion views and 26 million actions (post level reactions, shares, comments) in partnership with 16,000 advertisers. 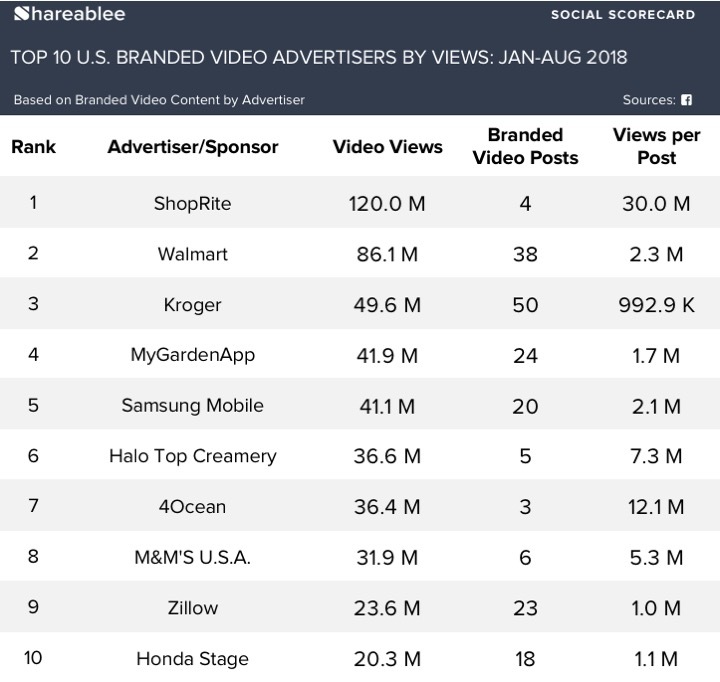 Branded videos comprise 27 percent of Facebook’s entire branded content space (photos are still 73 percent of all branded content) – up from only 10 percent of branded content this time last year. 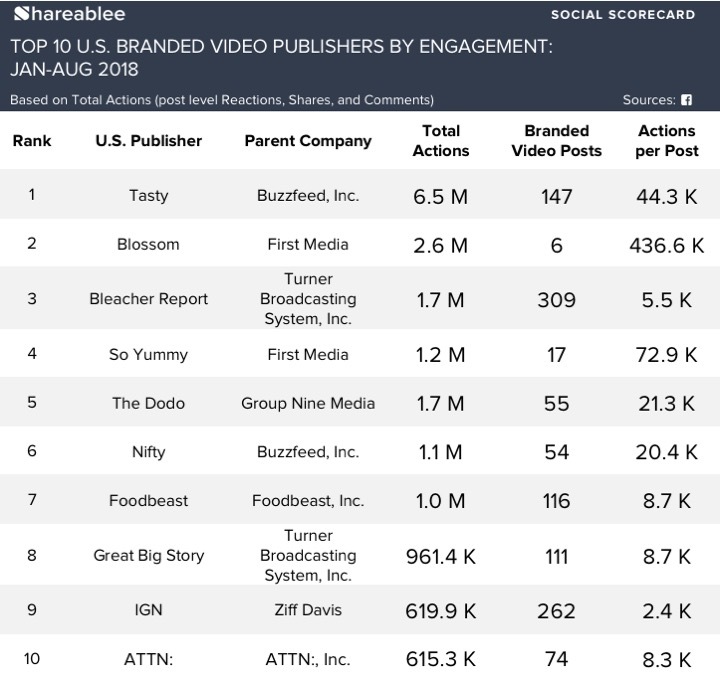 America’s top five publishers generated more than half of all publishers’ total branded video actions, while the top 25 percent accounted for a staggering 83 percent of all viewer engagement. 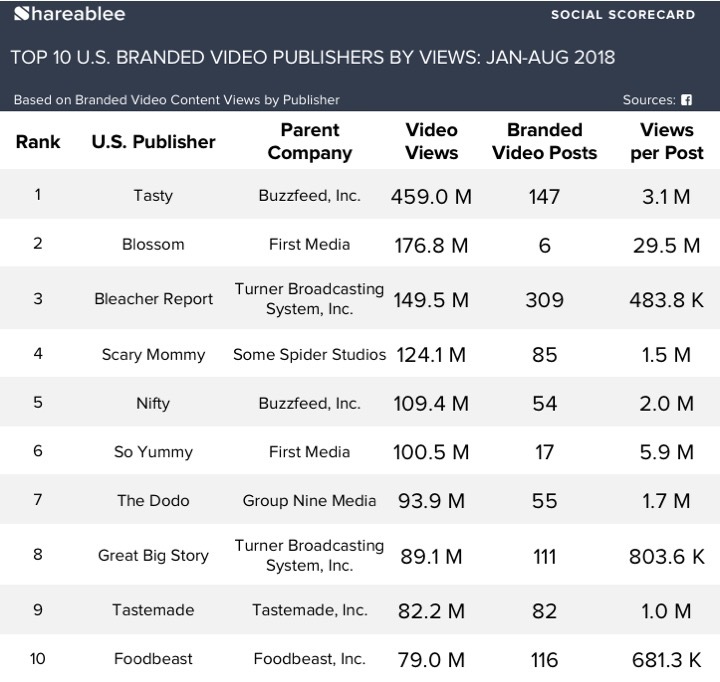 Blossom’s partnership with advertiser ShopRite also produced, “Grill your way through the Summer with these 8 awesome grilling hacks!” – 2018’s most viewed branded video (104 million views), and the most engaging piece of branded content on social to-date (1.7 million actions).